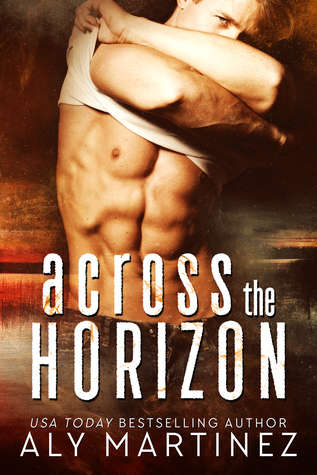 Across the Horizon by Aly Martinez– “Sometimes love happens when you least expect it.” That was what my husband’s mistress told me the day I found out about their affair. My Thoughts: Across the Horizon is a spin-off of the Darkest Sunrise duet, which was one of my favorite duets ever. The couple in this story are Porter’s younger brother, Tanner, and Charlotte’s best friend, Rita. We saw Tanner and Rita in the previous story and while readers knew they became romantically involved we never got their backstory until now. Their romance starts at about the same time that Porter and Charlotte’s did but this isn’t a retelling of the previous story. This story starts with infidelity and heartbreak but soon you’ll see the strength and resilience of the Rita. Rita meets Tanner not long after her marriage falls apart when she finds out her husband has been having an affair. I really enjoyed the way her character was portrayed- sassy and strong but still vulnerable and cautious. Tanner is a celebrity chef with his own cooking show on television whose claim to fame is when he takes off his shirt mid way through the show. He also has a few successful restaurants with his brother Porter. Rita and Tanner were a really great match. There’s a fair amount of angst and drama in this story but there’s also enough moments of great romance and levity to keep the book from being too heavy.